Marine aluminum plates are emerging markets for the development and application of china aluminum sheet suppliers. Shipbuilding aluminum plate production capacity has also become an important indicator to measure the comprehensive strength of various aluminum processing enterprises. 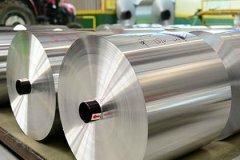 With the improvement of the aluminum sheet production process, the production scale has gradually expanded, and the types of alloys have become increasingly abundant. The performance of high-quality marine aluminum sheets provided by the shipbuilding aluminum 5086 suppliers china has reached an advanced level. At present, the 5083 aluminum plate, 5086 aluminum plate, 5754 aluminum plate and other shipbuilding aluminum plate products have entered the world shipbuilding market, mainly used in the ship's deck, engine pedestal, ship side, bottom plate and other components. The aluminum plate for the marine industry is mainly composed of 5000 series and 6000 series aluminum alloys, and is represented by 5083 aluminum plates, aluminum plate 5086, aluminum 5052, 5383, 5454, 5456, 5754, 6061, 6063 and so on. The application of aluminum in ships can save resources and energy to protect the environment. The construction and working environment of the ship requires that the shipbuilding aluminum material should have good corrosion resistance, solderability, plasticity and certain tensile strength, yield strength, elongation, impact resistance and other properties. Shipbuilding aluminum 5086 suppliers china can supply high quality marine grade aluminum plates to reduce the weight of various ships significantly, improve maneuverability and flexibility, and facilitate the passage of complex navigation areas and river swamps.